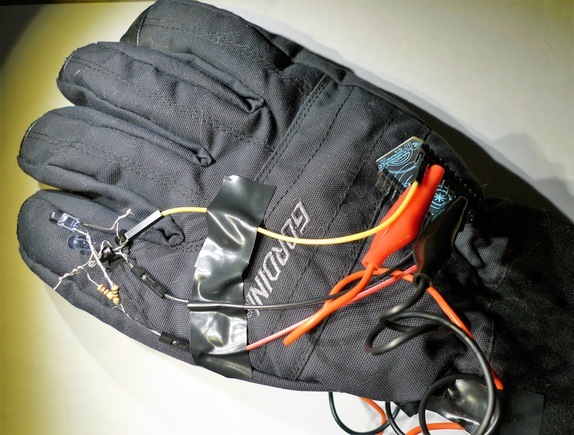 Use This Glove’s Dark Side to Kill TVs #WearableWednesday « Adafruit Industries – Makers, hackers, artists, designers and engineers! TV-B-Gone is one of those cult classics—a tiny device capable of mischief. Who doesn’t want to knock off TVs, especially in obnoxious sports bars? Well, things just got a bit more fun with this glove project by Van Myers on Hackster.io. This is yet another Star Wars inspiration built with the Sith Lord in mind, as the glove puts the “force choke” move on a TV. The best part? No solder needed, just get some alligator clips and some tape and you’ll be commanding anything. 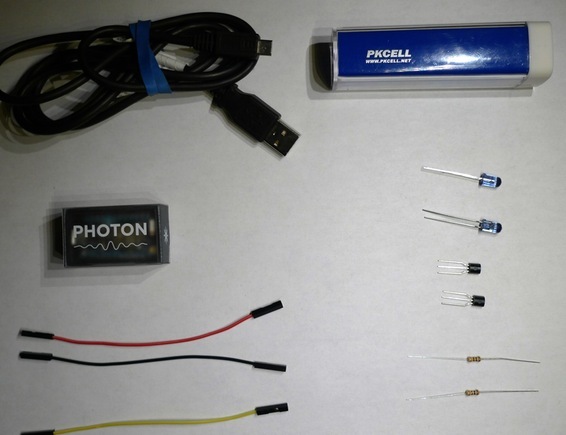 Main parts for the project are the Particle Photon microcontroller, 2-IR LEDs, 2-100 ohm resistors, 2-Transistor PNP, a USB battery pack, some jumper cables and alligator clips. A glove smacking of Darth Vader is also helpful, and Van admits he decided to use alligator clips and tape because he didn’t want to screw up his decent winter gloves. He does also mention that tape is not a good hold for the controller, so you may want to do some rigging with velcro. For the TV-B-Gone IR LED construction, Van recommends the Adafruit tutorial on the similar FLORA version. As for the code for the Photon, he talks about the ability for the glove to react to IFTTT (If This Then That) scenarios. So, you may dream up something fun you want to do with your glove besides the normal TV gig. However, if zapping TVs is your thing, you will most likely have to follow an additional Adafruit tutorial on IR sensors that explains capturing remotes to figure out your TV’s code. Van estimates 30 min. for this project which really isn’t bad given the end results. So, start digging through your glove collection and be ready to twist some wires. Hmmm, I sense a disturbance in the force, so I’m leaving you with the FLORA TV-B-Gone for inspiration.